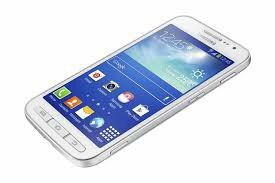 Samsung Galaxy Core Advance I8580 - this mobile phone model running on the Android operating system. Has at its disposal a capacitive touch display with a diagonal of 4.7 inches, type TFT. Resolution of 480 x 800 dpi. Main camera it has a 5 megapixel camera with autofocus, touch-focus and LED flash. Front camera on 0.3 MP. Supports all modern standards of Swazi: GSM 850, 900, 1800, and 1900 networks, and data transmission EDGE and GPRS. The operating system itself runs quickly and supports the new search service Google Now.